As usual I went through some of the comments to see how some people have adapted the recipe. Most of the time, people don't rate honestly on all recipes. They've adapted the recipe significantly then still in turn give the recipe 5 stars. It's kind of unreliable, and I have to take the comments with a grain of salt. Especially when I know my own tastes. One of the comments mentioned to cook the sauce to thicken it first before adding to the chicken. I decided to do that first, but in the end, my sauce wasn't too thick. Now, looking back at the comments, she also mentioned to add cornstarch. I've adjusted the recipe below to include the cornstarch. Even without the full caramelization of the wings, the flavor turned out great! Mix together the oil, soy sauce, ketchup, honey, garlic, and cornstarch in a small saucepan. Bring the mixture to a boil, then reduce heat and let simmer for 15 minutes. Place chicken in a single layer in a 9x13 inch glass baking dish. Season lightly with salt and pepper. Pour the sauce over the chicken to complete cover. Bake uncovered in the preheated oven for 45 minutes, or until sauce is caramelized. Transfer to a bowl and drizzle any remaining sauce over the chicken. 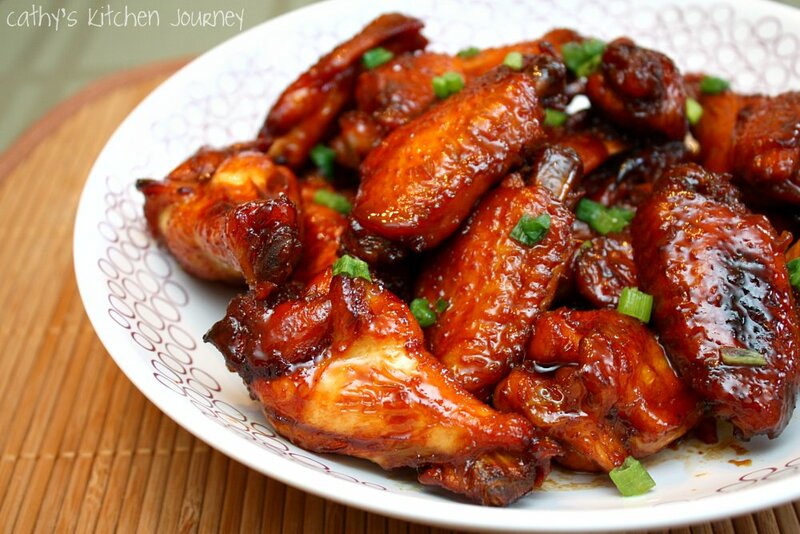 I'm always looking for good, sticky wing recipes. Will have to give this a shot! These look great. I love wings! what did you serve these with?! Everyone will be licking their fingers and craving for more of this delicious dish...Yum! I get mine frozen as well. I thawed in the fridge overnight. It should be enough time to defrost if you're using it in the evening, but since I was using it for lunch, it was still partially icy. I defrosted the rest of the way in water for about half hr. Thank you so much...trying these this weekend! Just tried this recipe! Perfect ! Sooooo delicious!!! unless you have another option for soy sauce that has the saltiness. I'm not sure what would be a good replacement. Is the cornstarch necessary? What is its purpose?